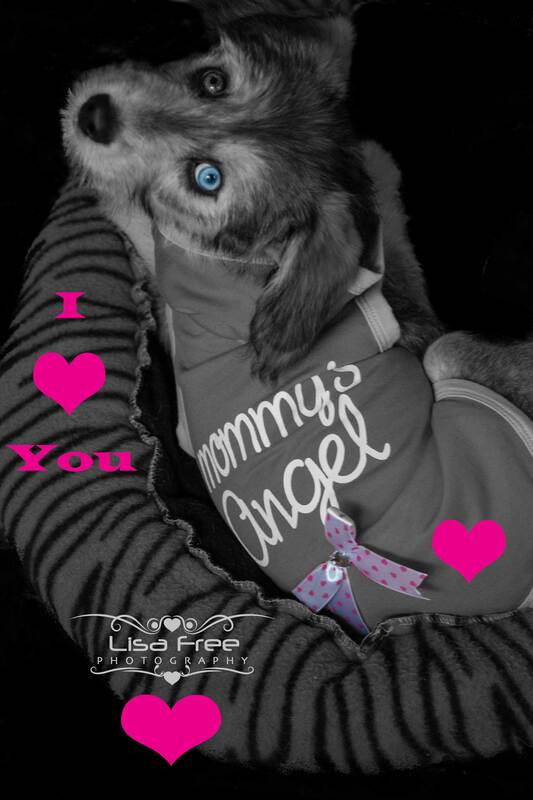 My rescue dog, Angel, wearing her new Valentine’s Day dress, posing for the camera. Love that she has the husky markings, one blue eye and one brown. I love unique and unusual things in people and pets. I admit it. I’m a true romantic. I love photographing couples, weddings, newborn babies, and of course precious pups in a love scene. So obviously Valentine’s Day is one of my favorite holidays. In fact, my last trip to the store I bought several “love” props to use, as I like to make each photo shoot new and unique. I also was able to find a couple of new baskets which I can decorate for any occasion. Love baskets, stuffed animals, bows, ribbons, and various symbols I can display to brighten up the backdrops and scenes I use. 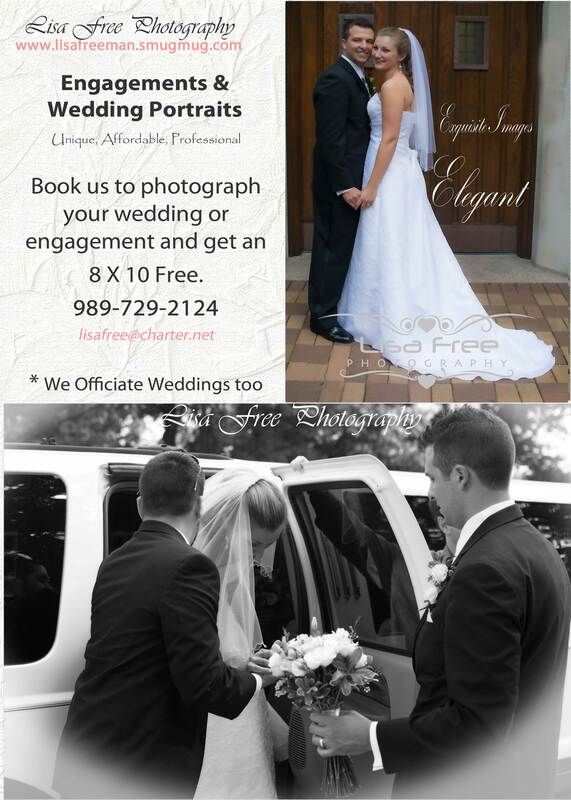 Need a photographer for your wedding? Right now we have our lowest portrait packages of the year and you get a FREE 8 X 10 portrait just for booking your wedding. We’re getting booked up, so please contact us soon. Tomorrow I will be photographing a 14 day old baby boy in the Raw. Saturday I will be photographing a 6 week old baby girl, with lace and bows. Then I have a couple shoot. Whatever I’m shooting, I love photography, love getting those intimate personal up close shots that create memories that will last a lifetime. Love to take newborn photographs. 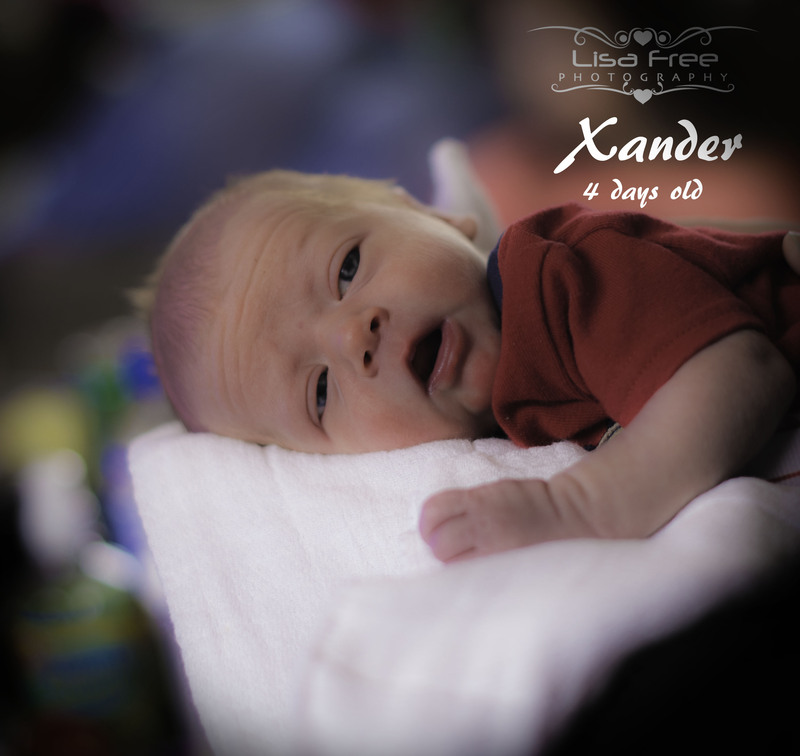 This is Xander at only 4 days old. How precious. They grow so fast, book your newborn or baby photo shoot today. CD/DVD and affordable print packages available. Lisa Freeman is a professional photographer from Michigan. She’s been photographing weddings and events for over 14 years. She specializes in wedding photography, family photography (newborn/baby/infants/children too! ), senior portraits, engagements, events, birthday parties (1 year cake smashings! ), anniversaries, modeling, headshots, and much more. Exquisite images that capture the moment, leaving you with a memory for a lifetime. View samples of her work on her website or like her on Facebook or connect with her via LinkedIn. 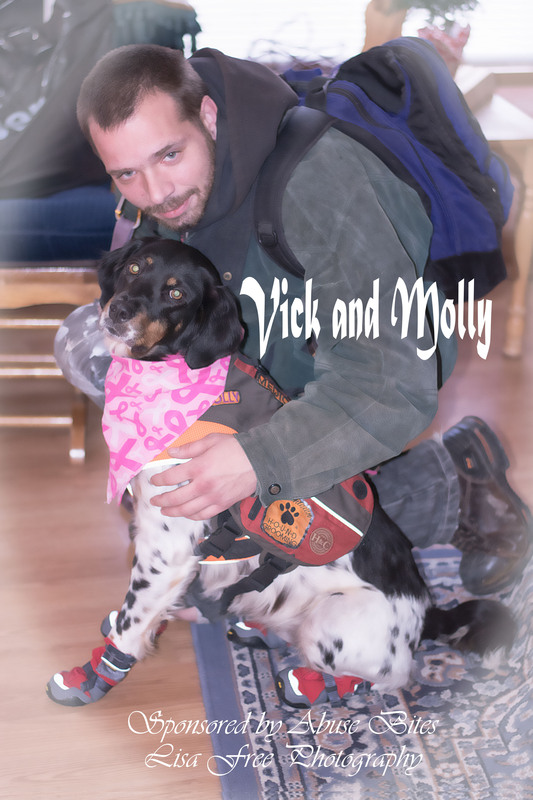 This is Molly and her owner Vick. When Vick called saying he had to carry Molly home the other day due to cold and salt, my heart broke for them. He had no winter boots for Molly to protect her feet, and they had no transportation so they had to walk everywhere they went. 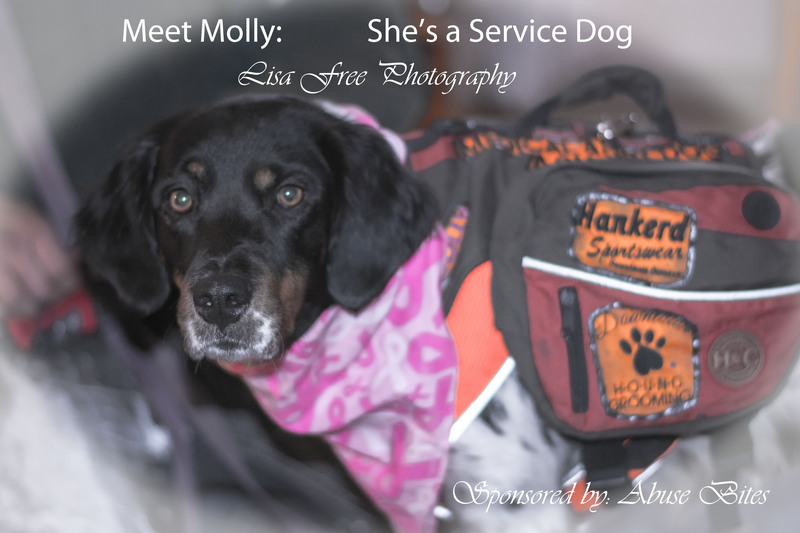 After doing some research I found www.ruffwear.com and with money that people had donated into our non-profit organization Abuse Bites and www.dogspawsforhealing.com I was able to order the boots Molly so desperately needed. Please take just a minute and see Molly walking in her new boots! It’s sure to put a smile on your face. Merry Christmas!